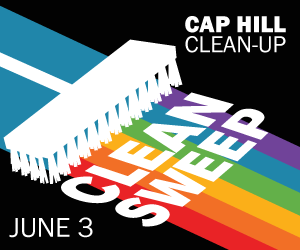 Kick off Pride Month by helping to clean the streets and public spaces of Capitol Hill! 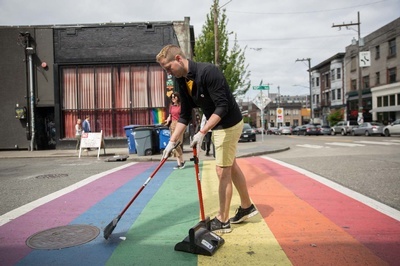 Produced by Capitol Hill Chamber of Commerce with help from PrideFest. We provide a stylish t-shirt and all the supplies you'll need, you give your time and energy. Volunteers from around the neighborhood gather in the morning at Cal Anderson Park for coffee and pastries before dispersing to clean the streets of Capitol Hill (thanks Starbucks!). 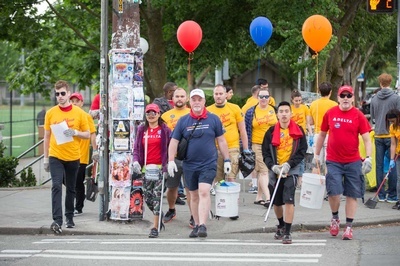 After the clean-up, volunteers will be treated to music and Sizzle Pie pizza in the park. This year Umpqua Bank is bringing ice cream! Kids are welcome too! FREE FOR ALL. LGBTQ and allied guests welcome. Special thanks to our generous event sponsors! 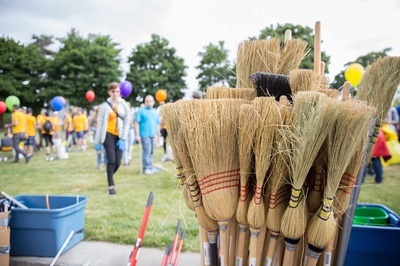 You can help make Clean Sweep a success with a sponsorship or in-kind food & beverage donation! Email office@caphillchamber.org for more information.